Our Interfaith Spring Break in Washington, D.C. brings Vanderbilt students and staff from various faith traditions and national origins together to immerse themselves in continuous dialogue and inquiry at various centers of worship and teaching in our Nation’s capital. 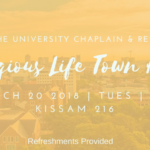 Contact The Office of the University Chaplain and Religious Life for more information at 615-322-2457. With an estimated population of over 30,000,000 Mexico City is one of the largest concentrations of humanity in the world. Historically this land was claimed by Aztec tribes who built the thriving capital of their empire known as Tenochtitlan. It was also here that in 1531 the Virgin Mary chose to appear – an event that sparked one of the greatest waves of conversion since the original evangelization efforts of the Apostles. This mission will take place right in the heart of this complex and fascinating city, precisely at the feet of Our Lady of Guadalupe. Working with the Missionaries of Charity whose home is adjacent to the Basilica of Our Lady of Guadalupe, we will work to serve the poorest of the poor. Further, we’ll spend time working in a home for forgotten, elderly handicapped women. In a culture where family is so central to life, it is especially sad to see the loneliness in these women. It’s an incredible opportunity to bring hope and remind the women of their innate dignity as daughters of God. Other components of the mission will include working with abandoned street children who call Mexico City’s subway system “home.” You can count on leaving this trip having experienced the history of Mexico, and Our Lady’s continued intersession for the Americas, and the heart of Jesus himself. University Catholic will be working with Amigos for Christ on clean water projects and service to the elderly and orphaned. For more information, please click here. Each year Hillel organizes an international Spring Break Mission Trip. We take 15-20 students to South America for a week of community service, interacting with the local Jewish Community, site seeing, and a day at the beach. Past service projects have been building houses for the homeless in Uruguay, building a community center in Rio de Janiero, and repairing a Jewish Cemetery in Cuba. This year, Hillel is head to Colombia! Students will spend time in the Colombian cities of Santa Marta and Bogota exploring it’s rich history and culture, interacting with local Colombian Jews, including Jewish university students, helping to set up a new synagogue and exploring the sensational South American beaches. For more information, please click here. Room in the Inn is a city-effort to assist the homeless of Nashville during the cold winter months. Churches and schools host a night and offer dinner and conversation, a place to sleep, breakfast and a bag lunch. University Catholic participates several Sunday nights each year. To get involved with this ministry, contact Caroline Duffy. University Catholic continues a 30+ year tradition by providing meals and fellowship to residents of Dismas House. To learn more, click here. Help tutor children in an underserved area. To learn more, please click here. Staff is needed to lead Totus Tuus, the vacation bible school offered in many parishes in the Diocese of Nashville and overseen by Fr. Baker. Staffers earn a modest stipend and abundant graces. The application period has been extended til March 24. For more information, please click here. Preston Taylor Ministries is an afterschool and mentoring organization that hosts a wide range of avenues for building life-changing relationships with the children and youth in the Preston Taylor community. We would love for you to be a part! For more information, please click here. 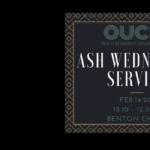 Salama is a community-based outreach ministry of Christ Presbyterian Church that serves as a spiritual, educational, and social support system to families in inner city Nashville and surrounding communities. Youth, in the context of their families, are instructed and encouraged to embrace Christ-centered lifestyles and to pursue training and education to prepare for the future. Salama designs and administers programs, services, and activities that are targeted to equip the youth and their families with spiritual training and tools to use in their home, their church, the schools, and in our community. For more information, please click here. Nashville Rescue Mission serves the poor and homeless of Nashville in downtown. This is a wonderful way to serve our city and reach the homeless in downtown. This is a godly group who seeks to reach the poor through Christ – in Word and in deed. For more information, please click here. Want to see the sun rise after scaling Masada? Watch the sun set over the Mediterranean? Drop a note in the Western Wall? Ride a camel? Celebrate with others your own age from your school or community? Vanderbilt Hillel is proud to partner with Taglit-Birthright Israel and IsraelExperts to provide an amazing and totally free of charge 10 day Israel experience for our students. For more information, please click here. This group provides food for families in need due to illness or the birth of a baby. To help or for more information, contact Susan Sluser. For more information, please click here. BCM works with Long Hollow, Hillcrest on Wednesday Nights to lead children and youth Bible study and activities. BCM has ongoing work with Nashville Rescue Mission and the Nashville Food Bank.